Alright! My backplates isn´t that bad, but they can´t support the pin for the brake shoes, im thinking of adding a bolt instead of the pin instead. But if i where to change the backplates, can I re-attach the wheel bearings or do i need to get new ones? Good to see this accuate stuff. Thanks to this Ive ordered a pair of back plates from klokkerholm today - through a uk agent they named- will be around 10 days. Massive saving on the old Peugeot main dealer price - although I suspect I'll have to salvage the forging which is the mount for the calliper. Perhaps I'll photo when job done. excellent. glad you're getting those backplates ok. I gave up and just bought two from the main dealer. Sounds like your main dealer is misinformed about their availability. Still painful at 95 quid each though! remanufactured callipers on eBay for 40 quid each. I bought two. am impressed, saves me the rebuilding hassle. greenmachine wrote: Good to see this accuate stuff. Thanks to this Ive ordered a pair of back plates from klokkerholm today - through a uk agent they named- will be around 10 days. Massive saving on the old Peugeot main dealer price - although I suspect I'll have to salvage the forging which is the mount for the calliper. These are the people that redid mine, with pictures on the first page. Very good quality, I had mine done in the heat and chemical resistant aviation polymer so the paint should last. I need to get 2 x Backplates and rear handbrake shoes (rear disc brakes, internal handbrake shoes) Backplates are corroded with holes causing the fitting kit for the internal shoes not to seat correctly. A temporary repair is in place currently. Can you get the Backplates anywhere else? I'm getting advised main dealer part. As for the brake shoes, I've seent these for as little as £20-30 on E-Bay (new) Does anyone have part numbers / sizes etc for the backplates and rear shoes? Car is a 406 2.2 2003 Exec. There is an alternative, read the whole thread. steve_earwig wrote: There is an alternative, read the whole thread. On the first page of the thread it mentions to change the wheel bearing as well when changing the backplate. Is it the 48 tooth ABS ring on integrated hub and rear wheel bearing on the 2.2 diesel (2003) 406? It's 48 for a D9 yes. Anyone driving about with spring(s) for the rear shoes held on by a nut and bolt held through a drilled hole in the backplate(s)? I have this set up at the moment, but will be getting new backplates soon. A quick visual on one of the back plates and there looks like a couple of largish holes due to corrosion, this repair may hold but then again it may not depending if the back plate corrodes more, I always park in first gear...even more so now. Is it worth getting a new pair of handbrake cables as well for this new back plates and handbrake shoes job in case needed when fitting? I've read reports of the hand brake cables being damaged upon removal. 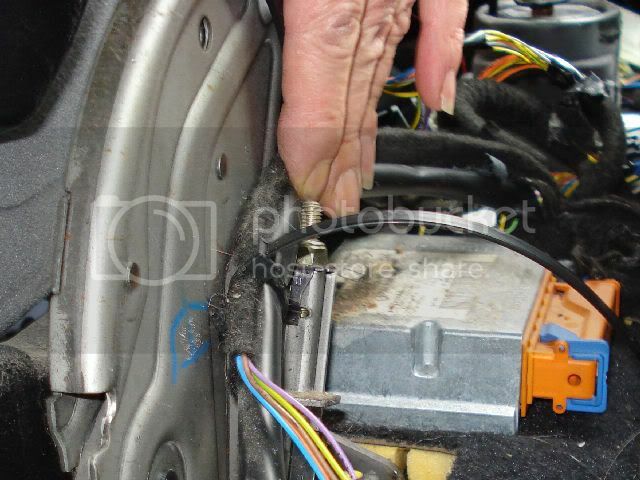 It never occurred to me to undo the cable at the join in the middle of the underside..... so If you find good backplates on a scrapper, then remove the handbrake cables with it..!! I'm getting three new hand brake cables. Being fitted when new backplates go on. Is the genuine Peugeot part no. 4745L4 - correct for the front handbrake cable for a D9 406 with the rear discs and handbrake shoes set up? Does anyone have the part numbers for the rear left and the rear right handbrake cables for a D9 406 with rear discs and handbrake shoes? You can get Pagid ones on Eurocarparts for a tenner a side, but wondered if anyone has the Peugeot part numbers. You should be able to see it if you pull up the handbrake surround.